Well I’ve done it, I joined a 30 day painting challenge with artist Leslie Saeta along with over 300 other artists. I either am crazy or I will be by the end of January. I do aspire to become a better painter and I am loving the palette knife right now, so be on the lookout for some chunky-style paintings. Surely painting 30 paintings in 30 days will enhance my painting skills. 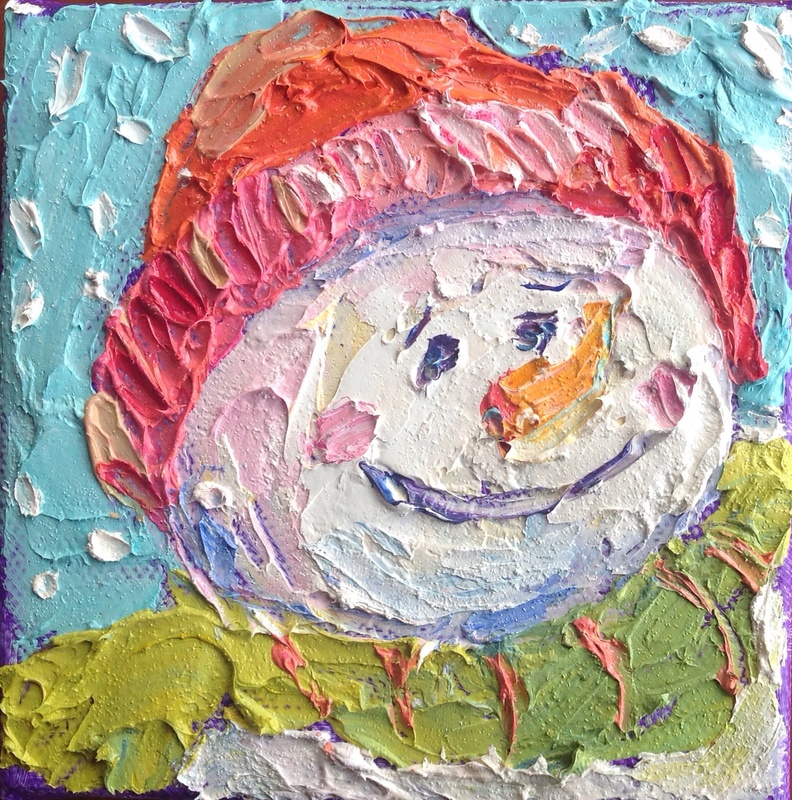 This little painting is 4″x4″ on a gallery wrapped canvas and does not need framing. I have named her “Nippy” and she can be yours for $50 as soon as she dries. I have made a list of subjects that I would like to paint but you know me, I would love to hear what YOU would like to see me paint. Please leave a comment for me if you have suggestions. Happy New Year everyone!!! She looks so happy, it just makes you feel good! Love it! Love it! You will do great! Can’t wait to see what ya come up with. Hummingbirds might be fun to try, but anything you do will be beautiful as all ways. Good luck and have fun!! !